We've developed a new pair of packs, the X4 HiSpeed and the X3 LoDrag shown here. 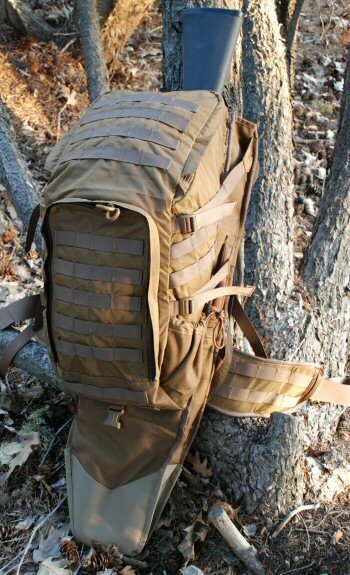 They are designed to be highly functional, minimalist, lightweight tactical packs. The X3 is a variation of our popular X1A1 model, and incorporates a tactical weapon-sized scabbard in place of the X1A1's smaller scabbard. The HiSpeed and LoDrag packs have a unique contour shape that tapers at both the top and the bottom, giving the pack an excellent close-to-the-body ride. 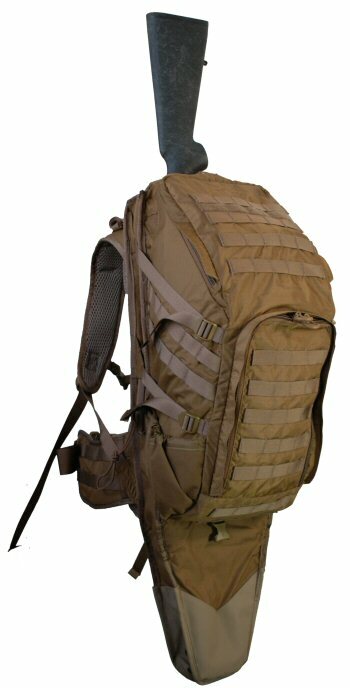 They are fully compressible with pairs of side-mounted compression straps that draw the load upward to optimally position the pack's contents over the wearer's center-of-gravity. 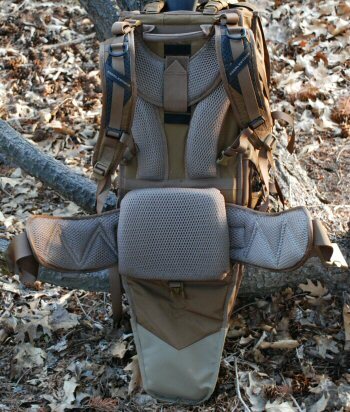 The pack is super comfortable, with generous lumbar and kidney padding, excellent ventilation, and a vertically adjustable Shooter's Harness. 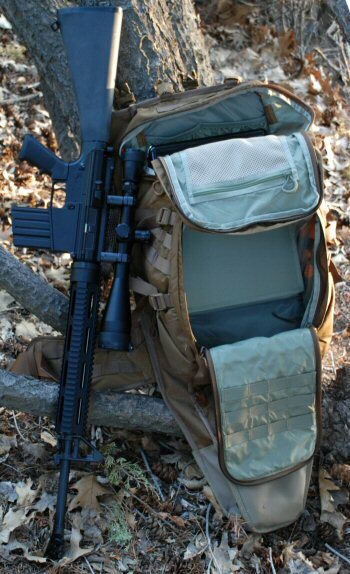 The X3 carries a variety of full-scale tactical weapons, such as the AR-10 with Leupold Mk 4 scope shown here. Also note that the pack has two main entry panels: a large front door for the lower section, and a unique top/front loading upper compartment. On the right you can see that the portfolio pockets are perfectly sized for 8.5 x 11" documents and a full-sized laptop.